The term Cold War generally describes a global rivalry between the Eastern and Western sides of the world, from the end of the Second World War to 1989. It is also a metaphor for the political, cultural, and artistic tensions between France and the United States throughout the same time period. Many communists resided in France, while America, led by Senator Joe McCarthy, attempted to rid the world of Communism. French communists fought every aspect of America and its capitalistic society slowly invading France’s 400-year-old culture. France was threatened by American modernization and its new products and inventions. French communists banded together and spoke out against Americanization through journalism and propaganda. 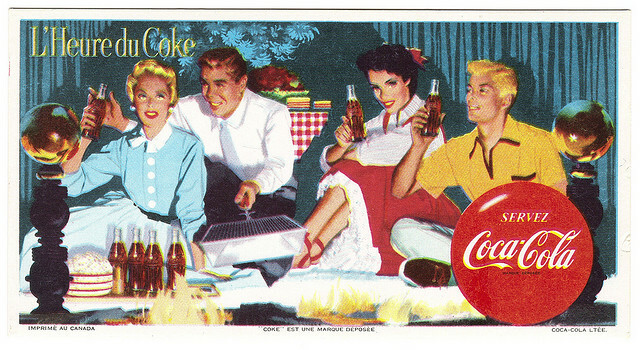 New York was slowly replacing Paris as the center of visual arts, and American literature, popular music, and products such as Frigidaires and Coca-Cola invaded French soil. While the French were not anti-America, Paris stood as “contested soil” (Kuisel 37). Many educated Frenchmen looking past simple politics, had a pro-America approach admiring the New World’s vitality and prosperity. During the same time, the Communist Party, which had 25% of the electoral vote in France, led an attack on America. Communist poet, Louis Aragon described America as “a civilization of bathtubs and Frigidaires.” (Kuisel 38). The French Communists threw words such as coca-colonisation into the French vernacular leading citizens to believe that America was attempting to colonize France. The Communists used the rationale that the United States was removing Communists from the world in order to make room in France for “Yankee trusts” in Paris (Kuisel 38). In 1949, the Communist Party began a peace movement in order to gain support against the United States. 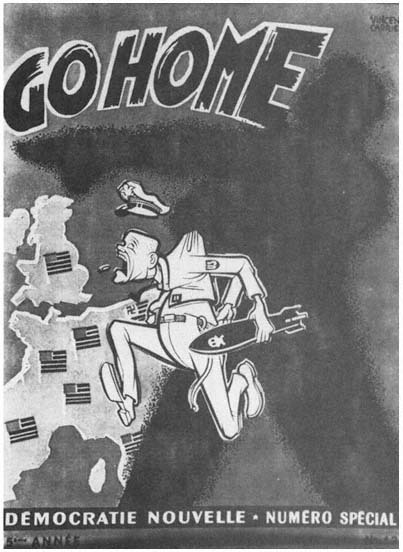 Slogans such as “Yankee Go Home” defaced walls and appeared on magazine covers around the country. French Communists not only disapproved of American action on European soil, but also spoke out against life in the U.S. The Communists felt that the American School systems did not teach European culture properly and avoided science due to fears of atheism. 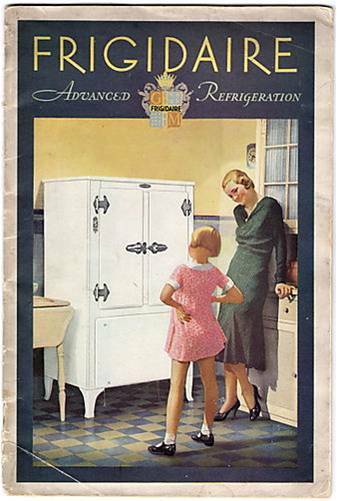 A French daily Magazine published by the Communist party titled L’Humanite ridiculed America in these article titles, “One Could Starve with a Telephone,” and “Not everyone has a bathroom.” The magazine also stated that “the Frigidaire, an American invention, was a useless gadget most of the year except for making ice cubes for whiskey” (Kuisel 40). So many intellectuals associated themselves with the Communism that the party began referring to itself as the “parti de l’intelligence” (Kuisel 40). Many of these educated elite came from the Left Bank in Paris, including artist Pablo Picasso, journalist Louis Aragon, and poet Paul Eluard. The main goal of the French Communists was to prevent France and its beloved city, Paris, from being integrated into the Western unification. The French were threatened by the increasingly popular American culture in Europe and feared the disintegration of its own heritage. The Communists, holding quite a bit of power in France, also disliked the anti-communism sentiments across the Atlantic. The Communists worked to fight American culture spreading through Europe by pervading journalism, spreading propaganda and gaining the support of prominent French artists and academics. Endy, Christopher. Cold War: Holidays. Chapel Hill, NC: University of North Carolina Press, 2004. Print.